Seeing so many of our fellow agents create such wonderful works of #fieldart, a bunch of lady agents decided to get themselves organized and create their own design. Thank you agent magnesium02 for initiating the idea! Soon the operation was code-named CDM - "colour doesn't matter" and interfaction planning and work on the project began. As we were an all girls group, we decided on adding a feminine touch to our work of art (design by agent creepz). After meticulous link-planning by agent cleangirl and key farming by agents cleangirl, debreziner und leyana we started operation CDM at Austria's most popular tourist attraction - the famous Schönbrunn palace and surrounding gardens. The weather definitely was on our side... after heavy snowfall in the West of Austria and rain showers over Vienna the day before, we were overjoyed to have a sunny and warm day for our event. 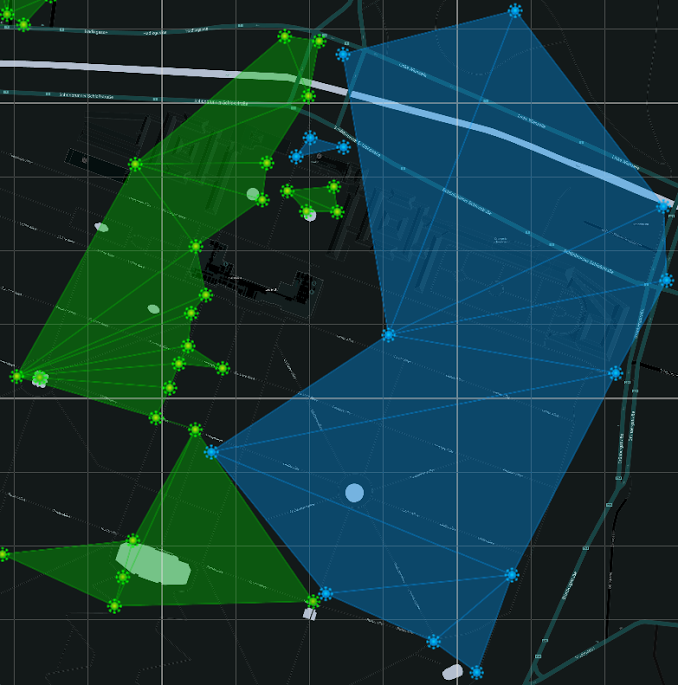 Thanks to the efficient and professional interaction of our two teams - each consisting of 4 agents of one faction and one of the opposing faction - the portals were captured and linking went as planned. We encountered a few hurdles as some unforeseen links popped at the borders of the field art zone and a few passing gamers who didn't know about the event began capturing and linking within the designated area. These "mishaps" were quickly corrected by the action squad. After 3h the design was clearly visible and we were happy that the operation could be brought to a successful end. A round of applause to all who helped with operation CDM and greetings to all the lovely ladies who could not make it to the event today! Special thanks go to our gentlemen behind the scenes - operators skinner33 and snuffi and field agents Kahless and Subversion contacting agents passing through kindly asking them not to interfere.